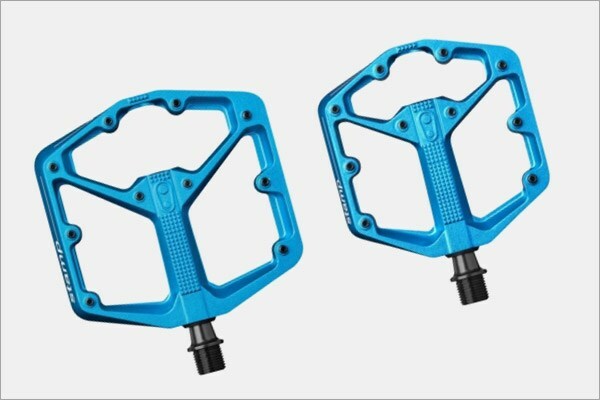 DMR’s V6 pedals may be their entry level in concept, but their performance outweighs their price by a long way. 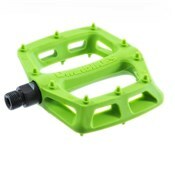 The variety of colours that the DMR V6 pedals are available in makes them a perfect highlight to any bike. 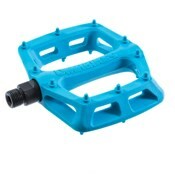 These pedals feature a resilient nylon body that is lightweight, yet can still take a beating. The CroMo axle is robust too, while dual DU bushings keep the muck out. 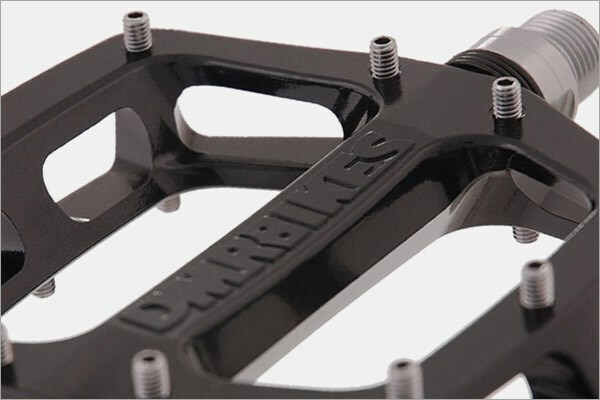 Full length road pins aid in grip without being intimidating, making these pedals perfect for your commuter or urban cruiser. Strong, affordable pedals. A benefit of these being plastic is that I didn't notice so much when I took a pedal to the shin-far less painful than metal pedals. However, I do feel the plastic pins don't grip your sole as well as metal pedals. With all considered I would buy again instead of metal pedals. Bought for my partner and she loves them.. Perfect match for all her other MTB kit. Look really sturdy for plastic and a vast improvement on what came with the Jynx stock. Bought these as a low cost alternatives to buying the metal V12's Use them for dirt jumping and despite a fair few crashes and bails they've withstood everything thrown at them so far. Also known as flat pedals, designed for mountain bike and BMX riding. Platform pedals offer great foot support. Pins grip the sole of your shoe to keep your foot in place while still giving you the freedom to take your foot off whenever you like. The pedal body is generally made of reinforced nylon or aluminium for greater durability. These are particularly good for control when you're riding off-road on tricky terrain. The main advantage of flat pedals is you aren't attached to your bike, so can get your foot down with ease. Pins are replaceable on the higher-end models. 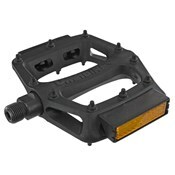 Some higher-end pedals have features like grease ports and magnesium or titanium construction to save weight. They come in different shapes and sizes some with a more concave shape to suit rider preference. 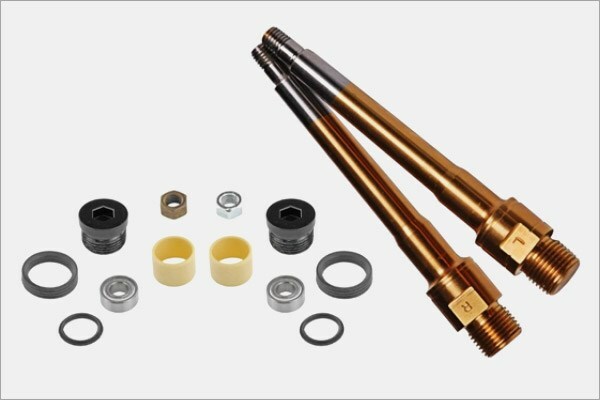 Steel or Titanium can be used for the axle with the latter being much lighter. 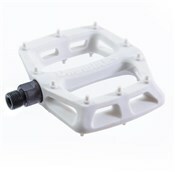 Mid and High-range pedals run on sealed cartridge bearings with many seals for long-lasting performance.